The Transformation House Process was designed for people going through major life changes. We offer a place and a process for those desiring a deeper level of intensive mind-body-spirit healing and sacred purpose rejuvenation away from the daily routines of every day life. The transformation process is a two to four week residential program. 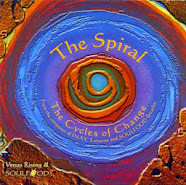 Past participants have attended in order to deepen their spiritual connection, find their sacred purpose, work on self-defeating behavior patterns, and moving from one phase of life to another. Transformation House also provides a place for deepening recovery from addictions and relapse prevention. The Transformation House program offers a cozy, rustic cabin style living space in the magical Blue Mountains of Western North Carolina with such amenities as a rocking chair porch, walking paths to magical prayer and reflection spots such as our Medicine Wheel, Labyrinth, Spirit Temple and Forgiveness Pond, an eat-in kitchen, a living room/meeting space with a reading/reflection space, and outdoor space for morning movement ritual. All food provided is wholesome and most is organic. Nutritional counseling is also provided. 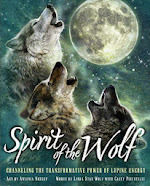 We use the words “shamanic psycho spiritual” to describe our programs. “Shamanic” refers to the death of the old self and rebirth of the new. “Psycho” describes how this experience is deeply rooted in our psyche and psychological processes. “Spiritual” expresses our belief that we are spiritual beings having a human experience. Our programs offer a variety of teachings and methods for shamanic transformation. 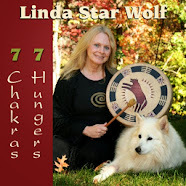 Our main tool is the Shamanic Breathwork™ Process, birthed through Venus Rising’s founder, Linda Star Wolf. 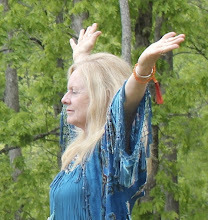 Shamanic Breathwork Journeys, Spiritual Counseling, Bodywork/Massage, Yoga, Dance/Movement, EMDR, Purification Lodge, Art Processes, Music /Sound Healing, 30 Shamanic Questions for Humanity, Medicine Hikes and Walks, Personal Altar Building, Divination work, Astrology Sessions, Shamanic 12 Step Meetings, Enneagram Work, Meditation & Guided Imagery, Grief & Anger Work, Inner Child Work, Medicine Wheel and working with the elements, Journaling, Educational Films & Teachings. CEUs available for professionals who wish to do personal inner work while earning educational credits. If you are ready to make some changes in your life, call us. We'd like to support you in your transformation process.